If you want an evergreen screen or privacy in a hurry, these are for you! Laurels are an extremely popular species made up of numerous trees, shrubs and hedging plants. Challenging environments, Laurel hedging should certainly be a major contender when considering garden hedge ideas. Prunus Rotundifolia otherwise known as Cherry Laurels are evergreen hedges. They are part of the cherry laurel family. They have large, glossy apple coloured foliaged. They produce fruits look a little bit like cherries make a fantastic evergreen hedge. Laurels can grow up to 3ft a year, and can reach a ultimate height of 5 meters at full maturity. 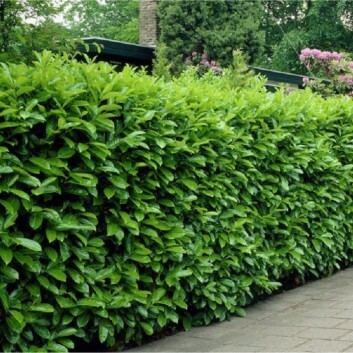 trim your laurel hedge in late spring or early summer as the hedge will produce new shoots very quickly at this time of year this is great to cover up any leaves that are left looking “tatty” after using a hedge trimmer . Cherry laurels will not thrive very well in wet or chalky soils. With chalky or clay soils the drainage is very poor and cherry laurels cannot sit in wet, poor drained soil. This can cause leaves to turn yellow. No other reason will make the leaves turn yellow so quickly. The roots of a laurel plant will rot if they sit in waterlogged conditions for a long period of time. and also maintain prolific white, fragrant blooms. 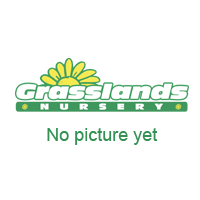 Feeding can be done with fertilizers formulated for ornamental trees or evergreen fertilizer. Cherry laurels will tolerate most conditions with the exception of wet and chalky soils and they will thrive in sun or shade, so they are perfect to plant in any part of your garden!